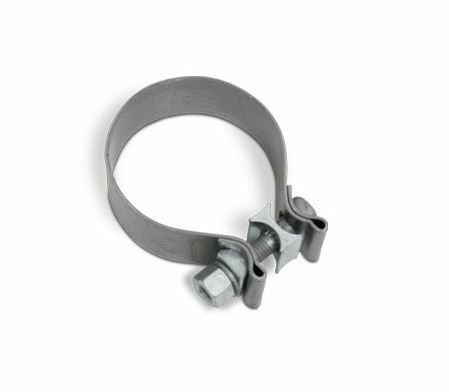 Replace the band clamps in your cat-back exhaust system with this universal band clamp. It's designed to make a superior clamp where torca notch and slip-fit are used. At purchase, you can choose from either 2.5 inch or 3 inch sizes. Note: In order to ensure a proper seal, this must be fully snug clamped down. Two sizes to choose from - 2.5" or 3"
Please use the drop-down menu above for your size selection.